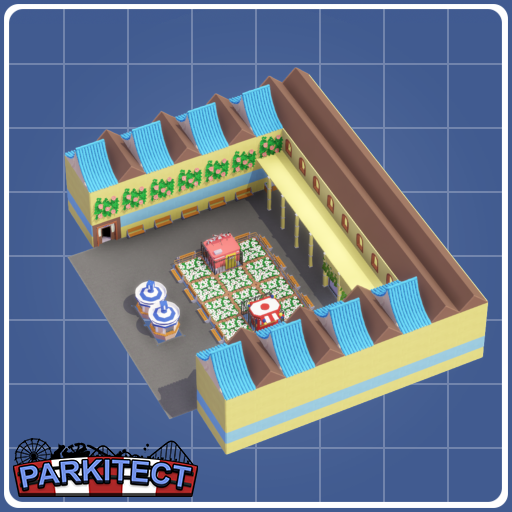 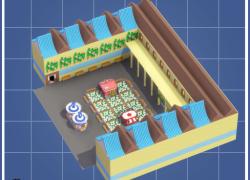 A shopping center that would work anywhere or in front of your park entrance. 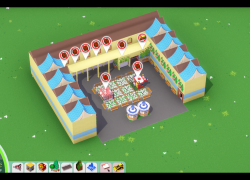 It has burgers, cotton candy, hot drinks, ice cream, mini donuts and a vending machine. 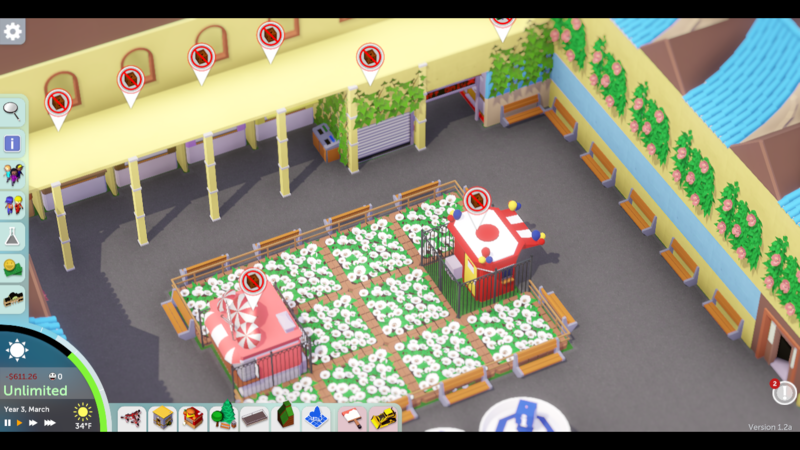 It also toilets built in, umbrellas and a info kiosk. 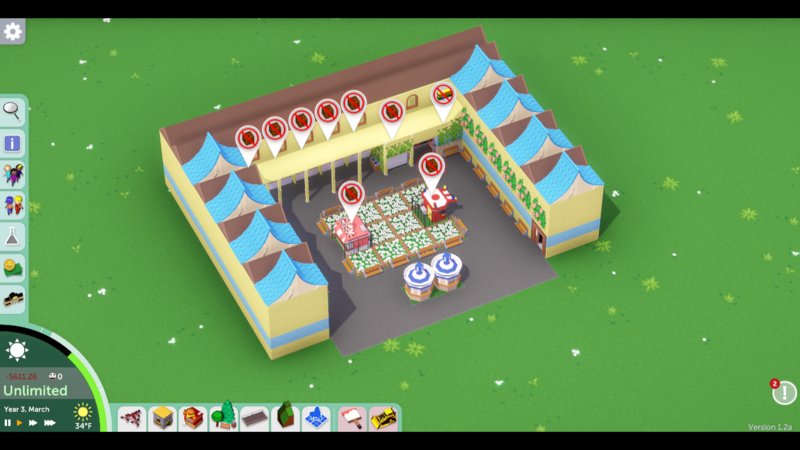 It has benches, bin and garden theming too! 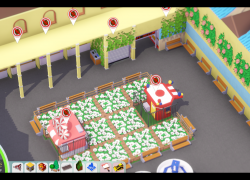 It also has a staff room and depot to supply the shops.